One of the greatest honors in life is being a friend’s bridesmaid. Standing with her at the altar is a statement of how important you are, and will always be, to her. If you’ve been asked to take part in a friend’s wedding, it’s important to understand how much responsibility comes with it before saying yes. It requires time, patience, careful attention to detail and a lot of work. The key is finding the right balance. To be a great bridesmaid, you have to be prepared to play the part of party planner, hostess and life coach – often all at once. It’s what separates the first-class bridesmaids from the mediocre ones. This is especially true if you’ve taken on the title of Maid of Honor, a.k.a. the show-runner of the wedding party. Step-by-step, this guide will outline the process of successfully planning and executing the events leading up to your friend’s wedding. You’ll learn the necessary tips and tricks to being the best bridesmaid you can be. After the happy couple breaks the news of their engagement, the first thing they want to do is shout it from the rooftops. Their excitement can only lead to one thing – an engagement party, the first of many celebrations of their impending union. The purpose of an engagement party is to congratulate the couple. It’s also a great opportunity for friends and family of the couple (otherwise known as future wedding guests) to get acquainted. Traditionally, the bride’s parents foot the bill but it’s now more acceptable for friends and even the couple to help cover costs. The rules and formalities of an engagement party are less defined than other parties (*cough* bridal shower). Depending on your budget, the party can be anything from a casual open house to a formal sit-down. The key is not to upstage the theme of the wedding. 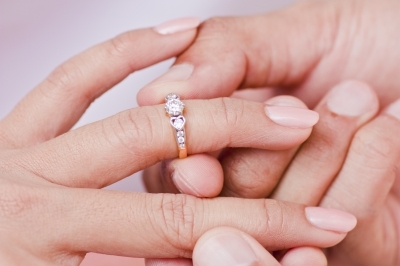 Choose a location that’s of special significance to the fiancés’ relationship. Be it the home of a loved one, or the bar where they first met. If you have a bigger budget to work with, rent out a hall that can comfortably host the happy couple’s nearest and dearest. For refreshments, you can stick with basic options like pub fare, appetizers and soda. If you’re holding a lavish party, you can offer platters of hors d’oeuvres and champagne. Either way, plated dinners are unnecessary at engagement parties. The décor at an engagement party doesn’t have to be especially fancy, but it’s important to add personal touches that the couple would appreciate. 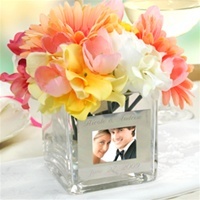 An idea for a fabulous, customized centerpiece is to attach a photograph of the couple to a flower vase. If they already know what their wedding will look like, you can try to tie in the theme to the engagement party. For example, if they’re having a destination wedding, you can use some of the same décor elements at the engagement party, like seashore candles or beach-themed framed photos. The same goes for other themes. If your guests will be seated at any point, you should use table place cards to facilitate introductions. Gifts and party favors aren’t required at an engagement party. 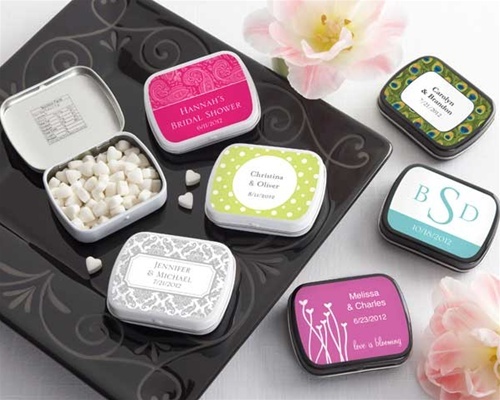 However, if your budget allows for it, you can give guests small parting gifts (like personalized mint tins) on the way out. Make sure that your party favors mention the couple’s engagement (“Thanks for celebrating John + Katie’s engagement!”). As the official kick-off of their engagement, the engagement party is the best way to say congratulations to the bride and groom-to-be. And it’s a lot more meaningful (and fun!) than a phone call or Facebook message. If she hasn’t done so already, the bride-to-be will formally select her bridesmaids after the excitement of the engagement party. 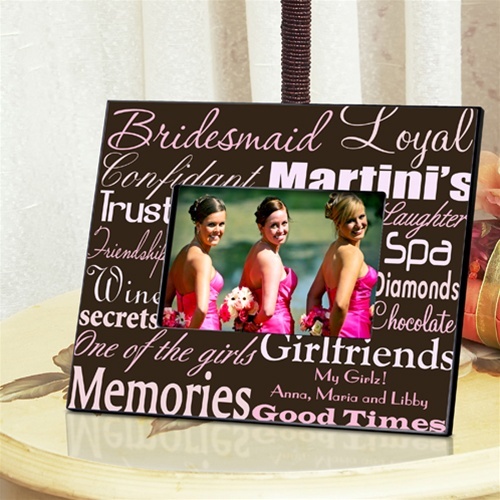 Assuming you’ve been bestowed with the honor, your first duty as a bridesmaid is to help her select gifts for the wedding registry. Traditionally, the bride’s half of the registry includes practical gifts for around the home or garden (cooking ware, bed sheets, vacuum, etc). If she’s less traditional, choose gifts that ebb on the creative side (painting canvas, cooking classes, etc.). Though most stores will allow you to scan the gifts, bring a notepad to record the items as a precautionary measure. Once that’s finalized, you’re ready to start planning the first big event – the bridal shower. It’s the Kentucky Derby of wedding events. It’s a fancier affair complete with floral arrangements, hors d’oeuvres and tea. As a bridesmaid, it’s your (semi) formal debut.